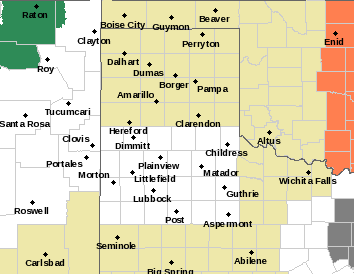 Severe T-Storms Near The State Line This Afternoon/Evening. 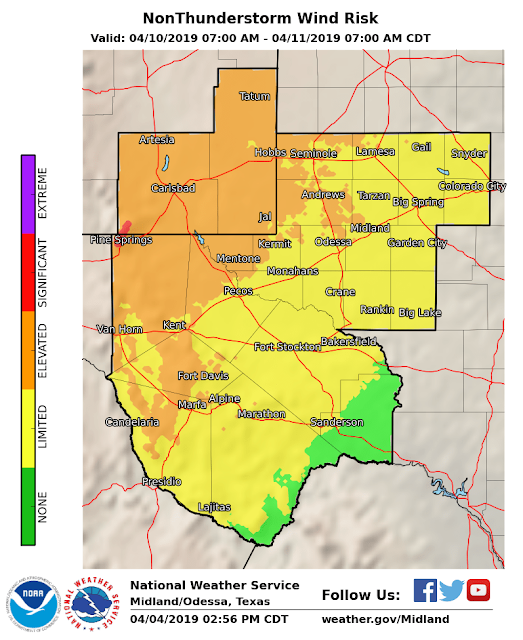 Scattered severe thunderstorms will be possible late this afternoon and evening mainly over the Permian Basin of West Texas. 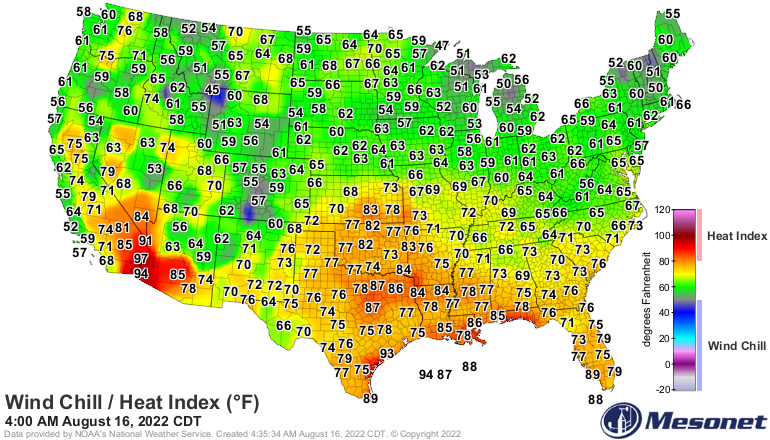 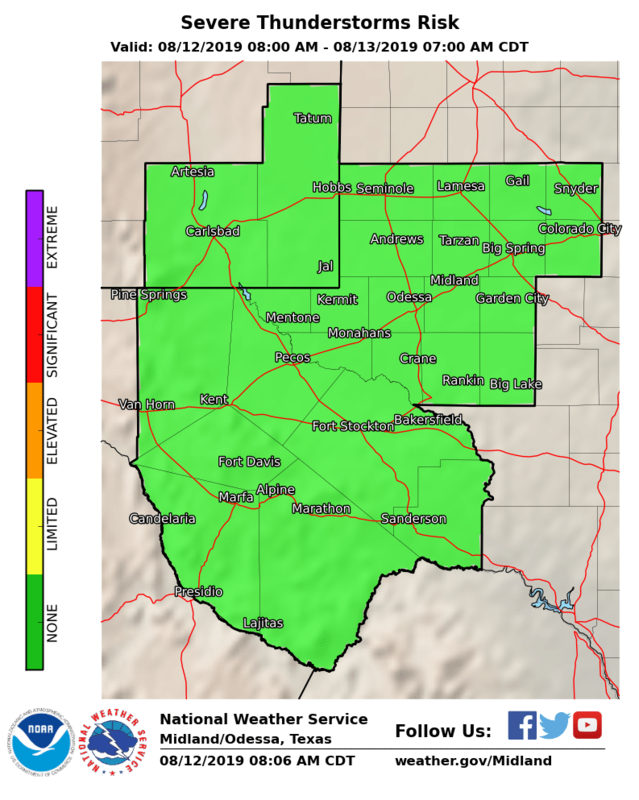 An approaching upper level disturbance interacting with the dryline will be the focusing mechanisms for this activity. 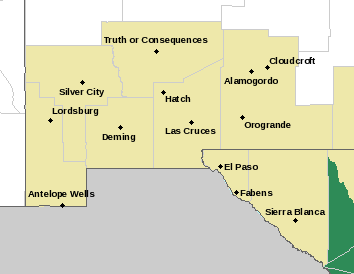 A few severe thunderstorms may possibly fire up in extreme Southeastern New Mexico near the New Mexico/Texas State line late this afternoon. Supercell thunderstorms will be possible this afternoon and evening. Large hail, damaging thunderstorm wind gusts in excess of 60 mph, frequent deadly cloud to ground lightning, and locally heavy rainfall will be possible with any of these storms. 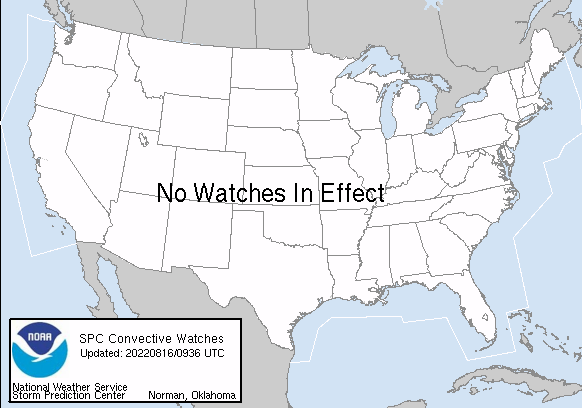 A few isolated tornadoes will also be possible. 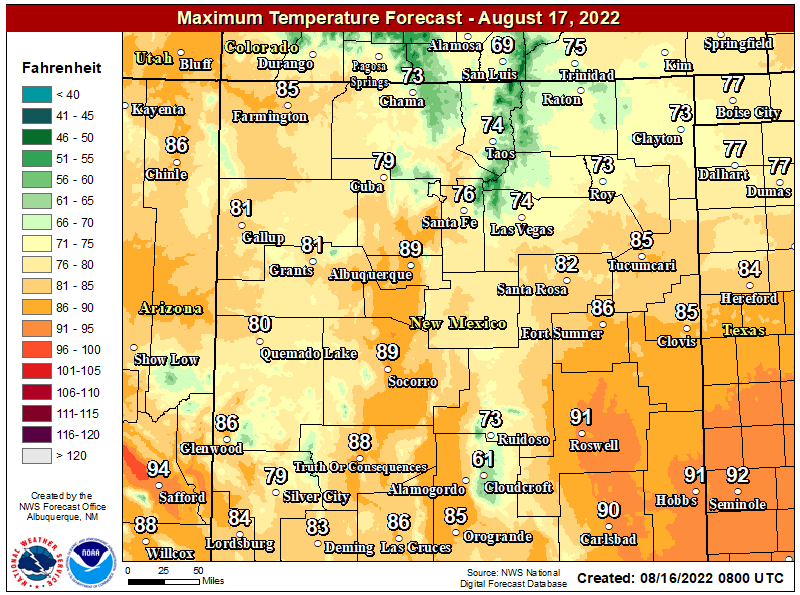 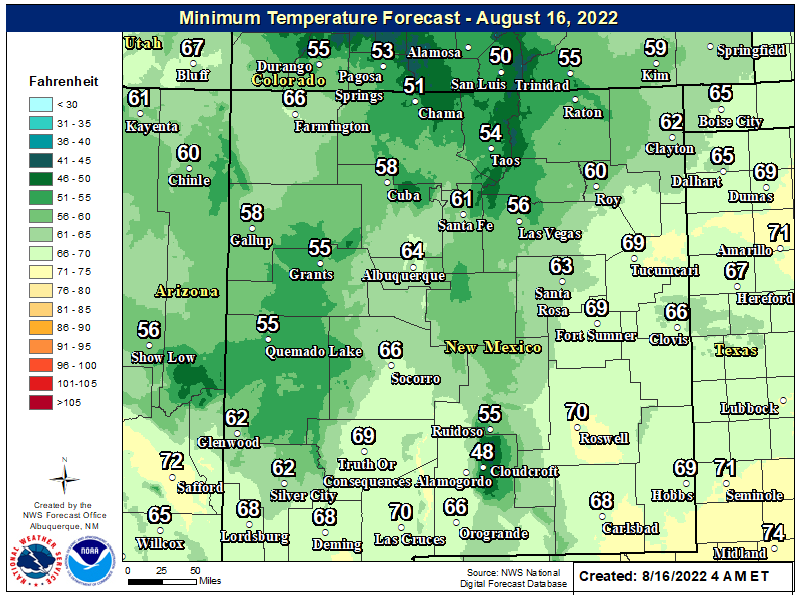 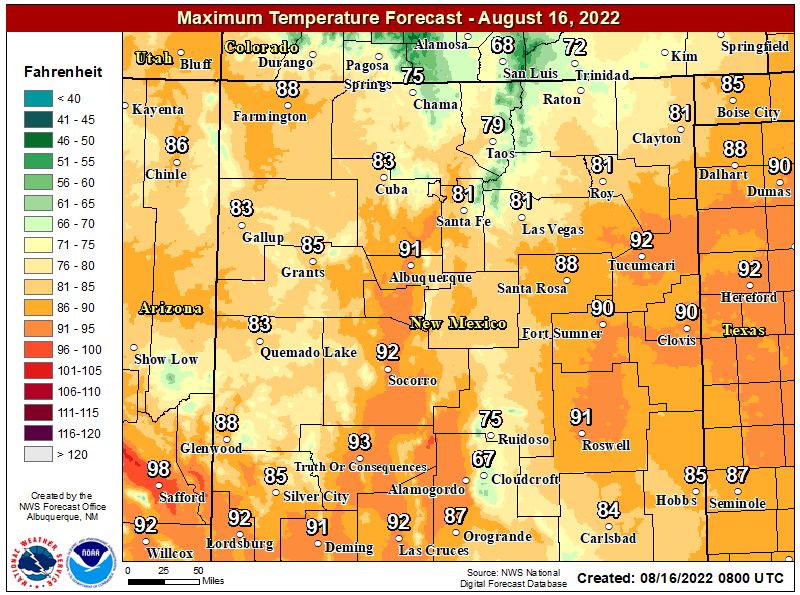 Hot weather returns to the area by this coming Tuesday with forecast high temperatures ranging from the low to mid 90's across Southeastern New Mexico and parts of West Texas. 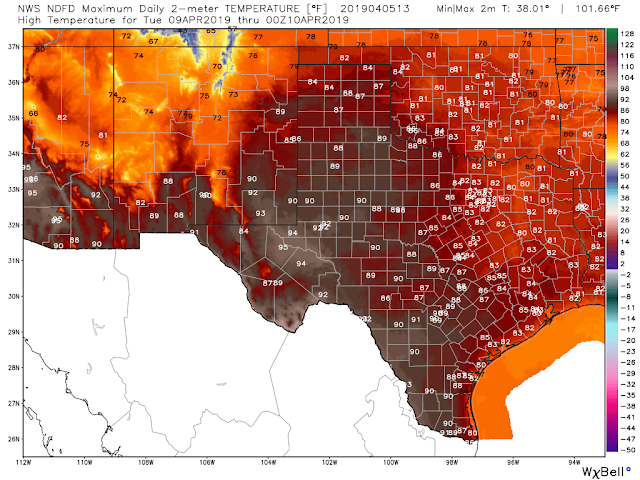 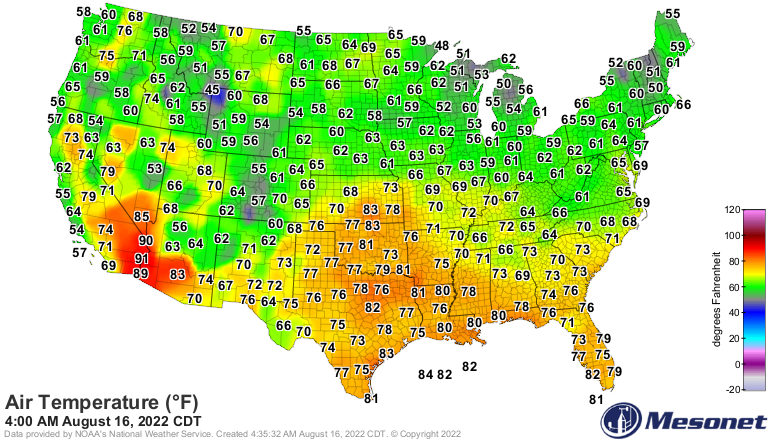 NWS NDFD 7-Day Forecast High Temperatures. 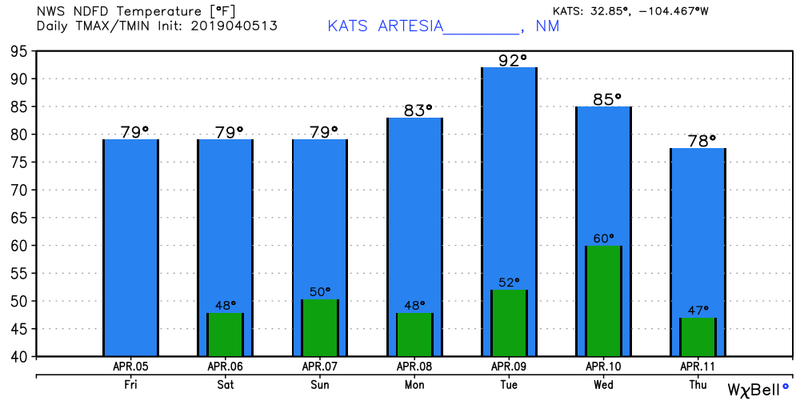 Windy Weather Returns Next Wednesday. 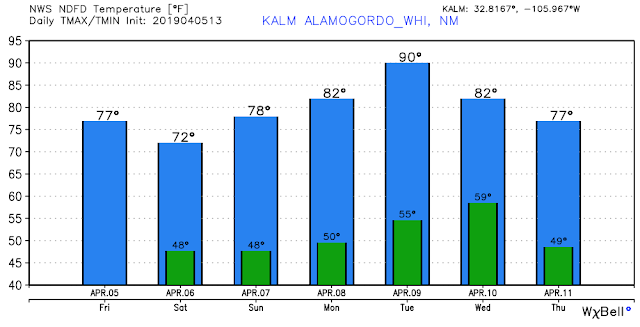 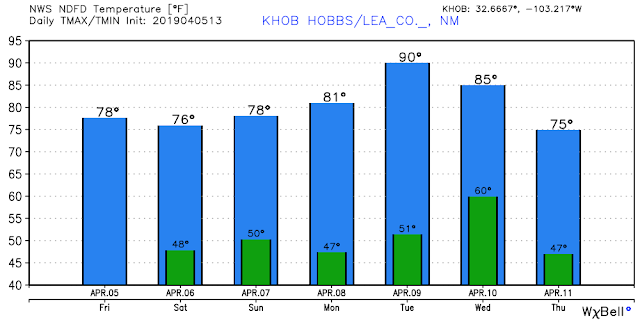 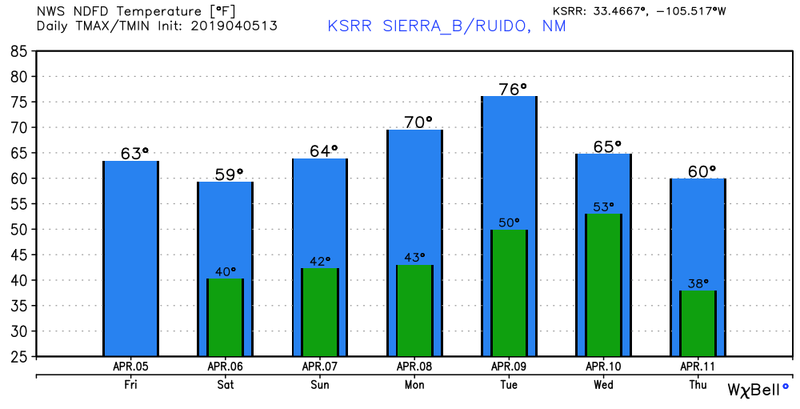 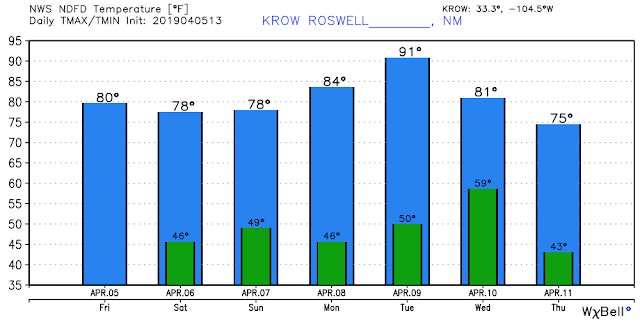 Another high wind event appears in the making by mid-week next week as a strong upper level trough of low pressure swings across northern New Mexico. 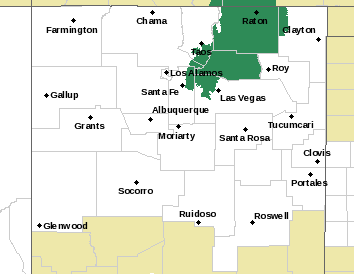 Southwesterly winds may gust up to over 50 mph across the lower elevations and 65 mph in the mountains. 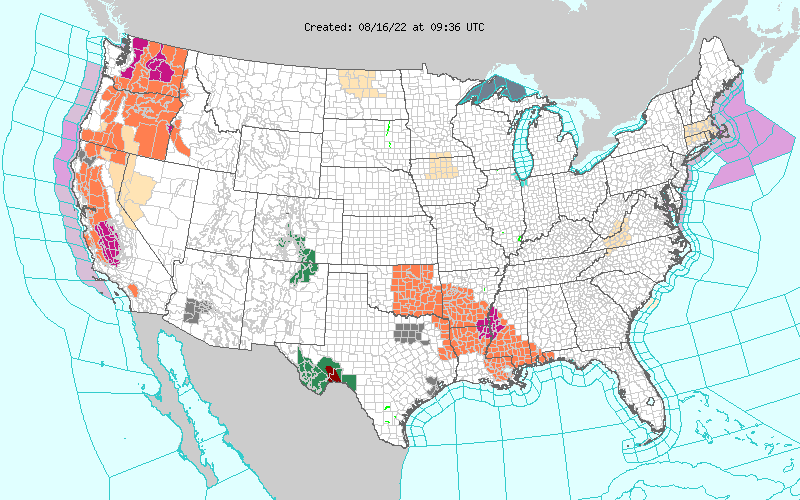 This will help to elevate the Fire Weather Danger locally also. 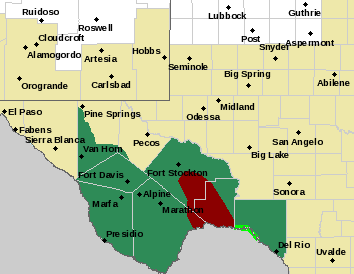 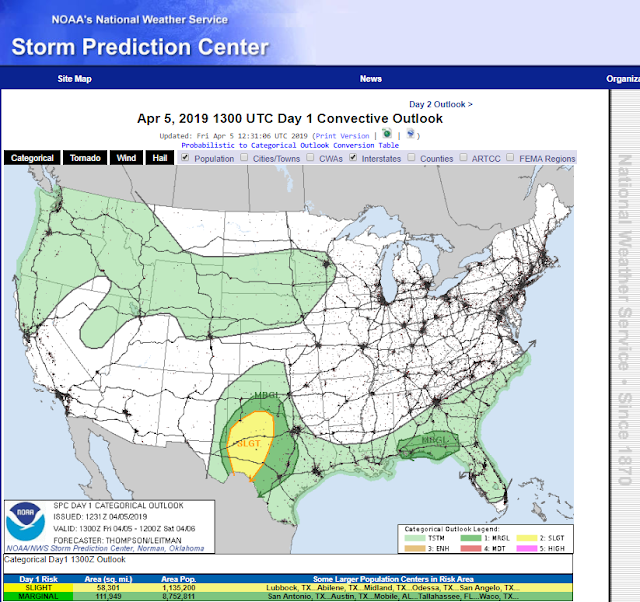 Severe thunderstorms could also be possible across parts of the area (West Texas) should the Gulf of Mexico open up with low level upslope flow returning along a retreating dryline.